MONTREAL – Montreal Canadiens general manager Marc Bergevin announced Friday the signing of defenseman Dalton Thrower to a three-year contract (2014-15 to 2016-17). Thrower, 20, recorded 39 points (12 goals, 27 assists) in 42 games with the WHL’s Vancouver Giants in 2013-14. The 6’00’’, 203 lb. defenseman led the Giants with a plus-9 differential and also led all Vancouver defensemen with eight power play goals. Thrower registered 147 points (42 goals, 105 assists) in 285 games since his junior debut in the WHL with the Saskatoon Blades in 2009-10. He served 414 penalty minutes and maintained a plus-39 differential. He added five points (2 goals, 3 assists) and 23 penalty minutes in 26 playoff games. 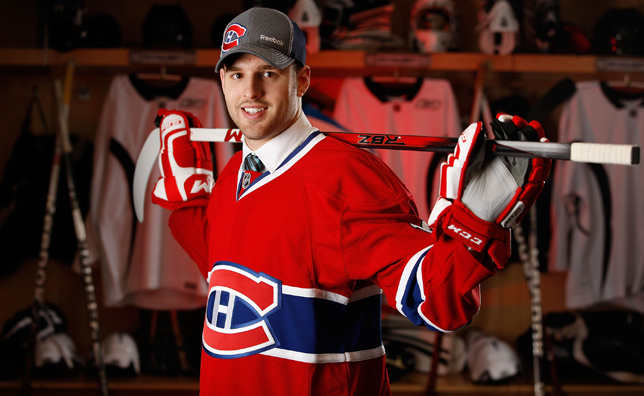 A native of Squamish, British Columbia, Thrower was selected by the Canadiens in the second round, 51st overall at the 2012 NHL Entry Draft.